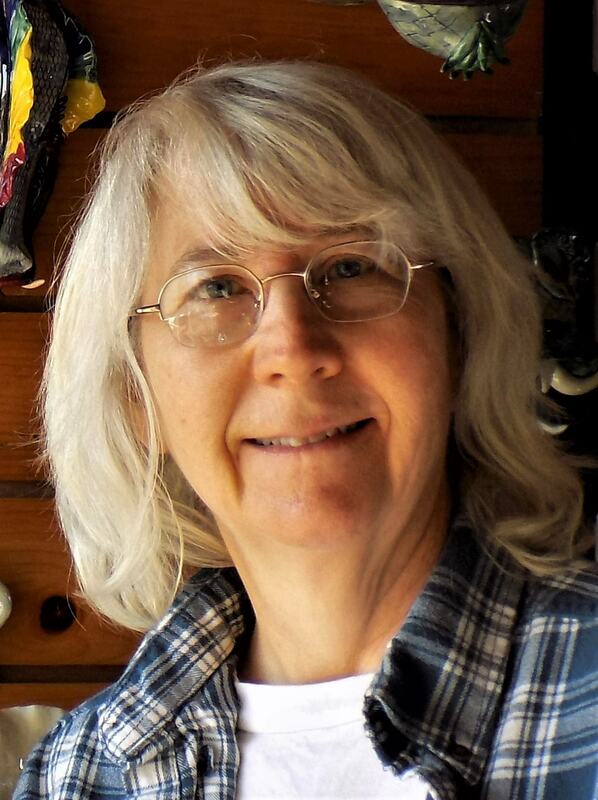 Susan Smith James is an author, potter and artist,,who lives on a farm in southern New Jersey. She spent many years as an award-winning, full-time potter. She found that the responsibilities of raising her two sons and caring for the farm, with her husband, took up all of her time. Working in clay became more of a wish than an actuality. When her youngest son went off to college, she found that dragons were tapping on her shoulder, asking her to construct pots of them. 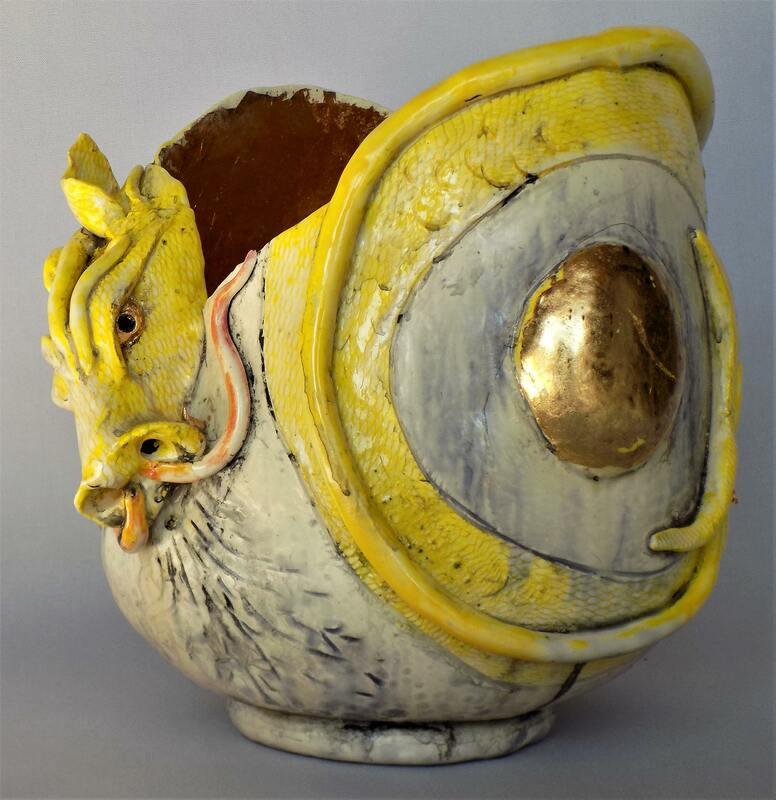 After she had made several dragon pots, they began sharing their conversations with her, and the beginnings of "Dancing Dragon Magic: Dialogues in Clay", took shape. After having been introduced to clay in High School, Susan went on to earn a Bachelor of Fine Arts degree, concentrating in ceramics and jewelry. With that knowledge, Susan opened and operated her own gallery, where she sold her pottery and jewelry as well as the works of other local artists. She was included in the “Fourth Biennial of New Jersey Artists” held at the State Museum. She was also featured in “Ergo Ego”, a traveling exhibit of self-portraits. Her entry included a mermaid’s tail and a dragon, which seem as much a part of her being as her own face. This may explain why, many years later, she picked up her work by creating a series of dragon vessels and wrote a story occurring on a planet inhabited by dragons and mer-people. Susan teaches the children at the local grade school about pottery making once a year, so that they may grow up to love clay as much as she does. “This book is the culmination of a journey that has taken me through time and space. 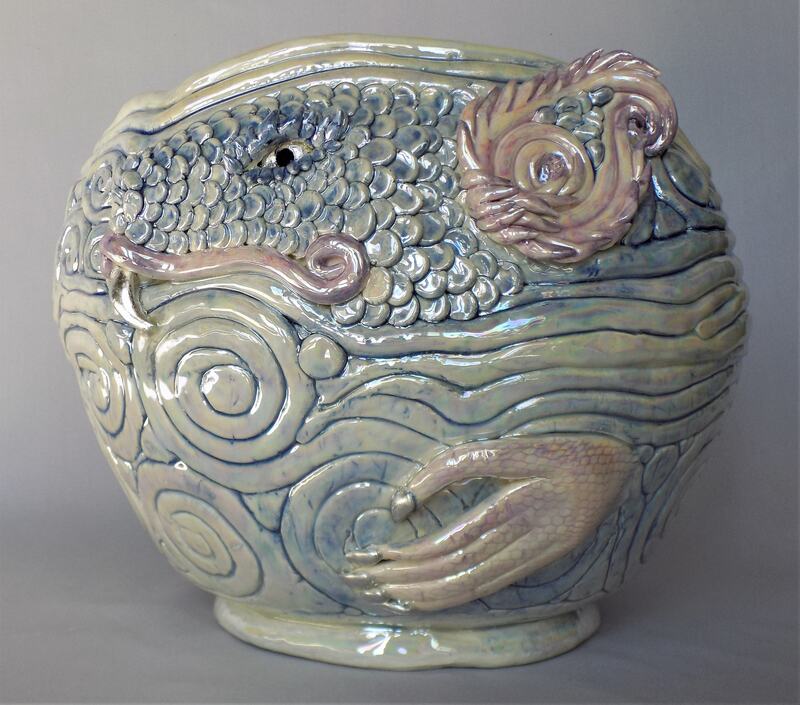 I have been given the opportunity to create in clay, photography, ink and words, to connect with dragon energy and to birth a book that somehow seems much greater than the sum of my efforts," says Susan, who has been a professional potter since 1980. The Sun Dragon flies over the planet, endlessly watching over his domain. His brother, the Night Dragon seeks out dark places to hunt and play. The Day Dragon reflects rainbows, wherever she goes. The Merdragon comes forward to imbody peace itself. The dragons of the planet come together to celebrate, sing and dance. This book is illustrated with Susan’s drawings and photos of her magical dragon pots. The story is told through the dragon's own conversations. "Dancing Dragon Magic, Dialogues in Clay" is 92 pages of full-color photos and dragon dialogues, available in hardback, paperback and Kindle versions and is available on Amazon, bookstores globally and from the Ingram Catalog. 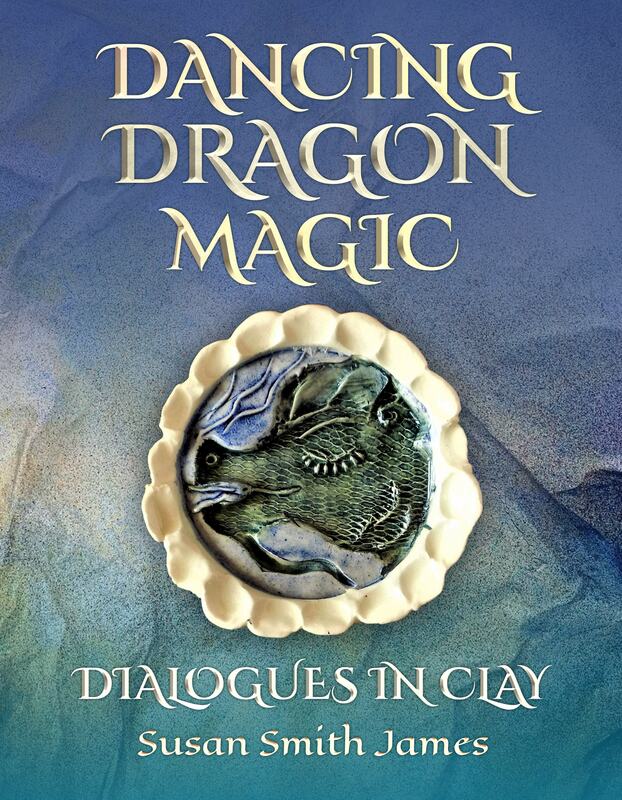 Happy Publishing CEO Erica Glessing chose to release the new book "Dancing Dragon Magic: Dialogues in Clay" to support art, creativity, storytelling, and she adds, the dragons were very insistent. The book went to #1 on Amazon in the category of Dragons and Mythology immediately upon release. "Author Susan James has a gift with clay, imagination, and she has kept the sense of childlike wonder that you seldom see. She celebrates not only dragons, but the butterflies on her farm, the way her chickens wake her up in the morning, and how to connect with the mysteries of the universe," explains Glessing. "Her dragon stories are second to none. The dragons quite literally come to life in this new book." "In the opening pages of "Dancing Dragon Magic," you feel as if on the verge of an exciting journey. The Night Dragon appears, setting an intriguing tone of mystery; then we meet the cast of the other power dragons and even mermaids. The words echo like an old Celtic or Norse tale. They are evocative, releasing long buried ancestral memories, like a tale told around a fire. You can almost hear the wood crackling, see the smoke curling upward, feel the hot breeze like the lift of a wing as the Smoke Dragon rises. The colors of the pages are soothing, reminiscent of the seashore at sunset- sometimes soft and muted, other times brilliant with oranges, yellows, turquoise and violet. 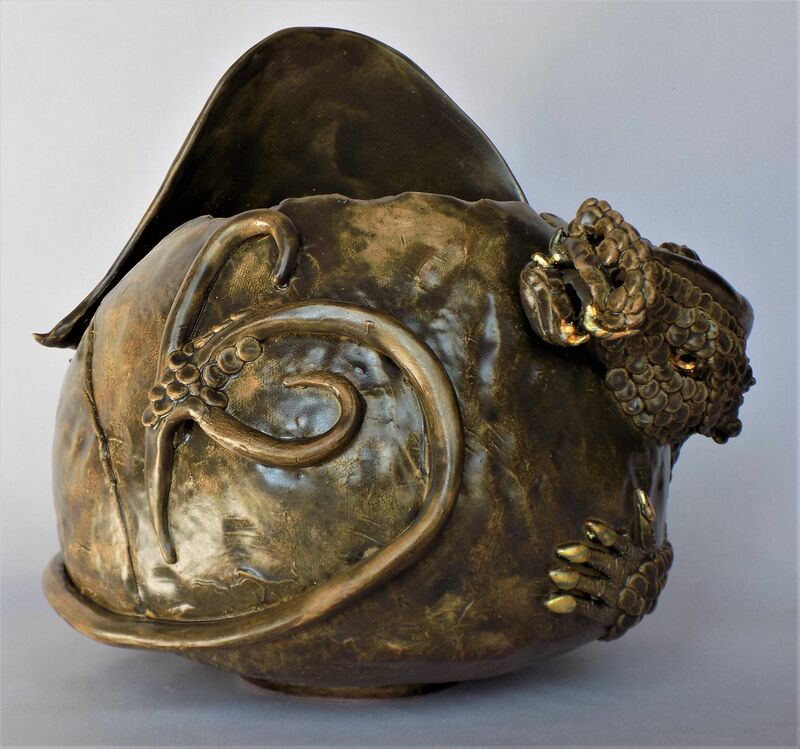 Susan Smith James is a master potter, and her dragonish creations are magical; reminding one of that other potter- named Harry. Reading the book is a welcome escape from the everyday, the turmoil of the 21st century. May the world listen to the glowing wisdom of the Moon Dragon. And we can hold out hope that someday, at the rim of a volcano we will see in the fiery lava, the shimmering splendor of the Sun Dragon. Viva la Dragons!" Nancy Bowker, author of 3 non-fiction books about horses, has written for equine periodicals and historical features for newspapers. She is a member of the Author's Guild and has 2 rescue horses. "Well,you see, the water has no light of its own, yet it can reflect it so intensly,like a mirror, and sometimes like it has a life of its own. "said River. "Everything has a life of its own, dear one, and there is nothing wrong with reflecting the glorious light of others into the world," whispered Mother Cloud, "Not everything can be Dragon after all." Happy Publishing, based in San Jose, California, is a full-service publishing house dedicated to consciousness and awareness on the planet.